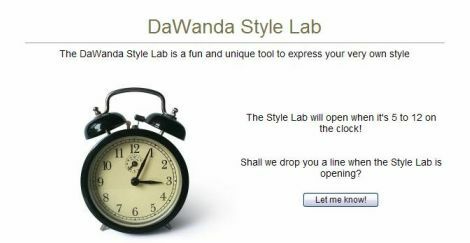 elizabeth over at the fabulous dawanda tipped me off this weekend about a new feature they are launching soon — the style lab. it’s a tool that members can use to offer their customers special tailor-made products — think hand sewn fabric, made to measureÂ or monogrammed items. for those of you who don’t know dawanda, it is a marketplace similar to our beloved etsy, but is based in europe. this could be a great new valuable outlet to showcase your work if you are an artist or crafter. wander through their wonderland of goods here, and if you think it’s a good fit, become a member (they are having an august special). be sure to mention tthat you wish to apply for the style lab.